In the town of Bradford, near Leeds in the UK, they've imported more than 30 tons of sand to build nine sand sculptures across the city, as part of what's called the Discovering Bradford project. Above, you can see one that caught our eye, thanks to the Vintage Anchor twitter stream. 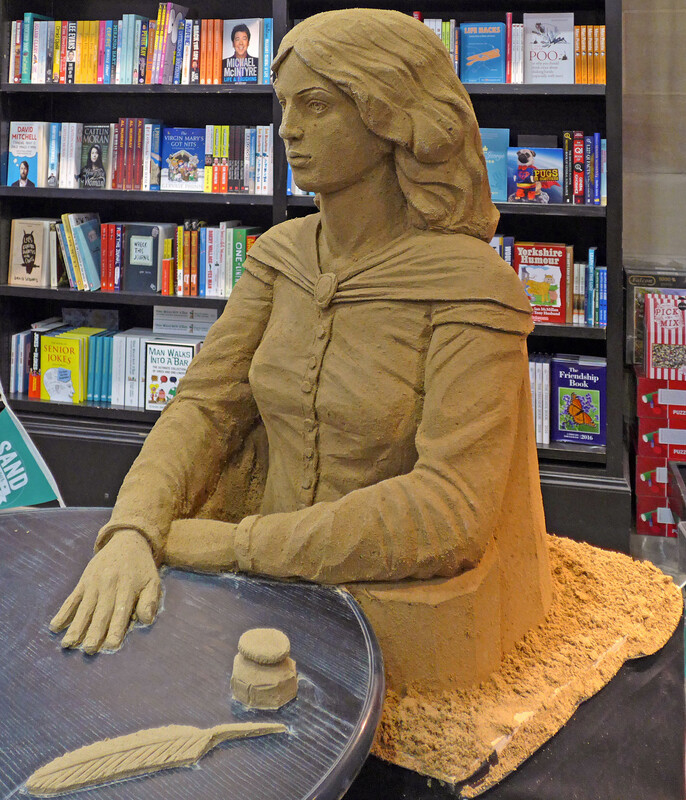 It's a life-size sand sculpture of Emily Brontë, created by Jamie Wardley, an artist who belongs to the collective, Sand in Your Eye. Brontë was born in Thornton, a short hop, skip and a jump away from Bradford. For more culturally-inspired sand creations, see the Relateds below.